With winter around the corner, we look at what you do to prepare for winter to keep productivity high and sickness levels low. The recent chilly, wet weather signals that autumn is well and truly upon us and winter is around the corner. Plummeting temperatures and wintry conditions can have a negative impact on businesses, with more staff calling in sick because they are suffering from colds or flu. Ice and snow can lead to even more missed days due to employees being unable to make it into the workplace. 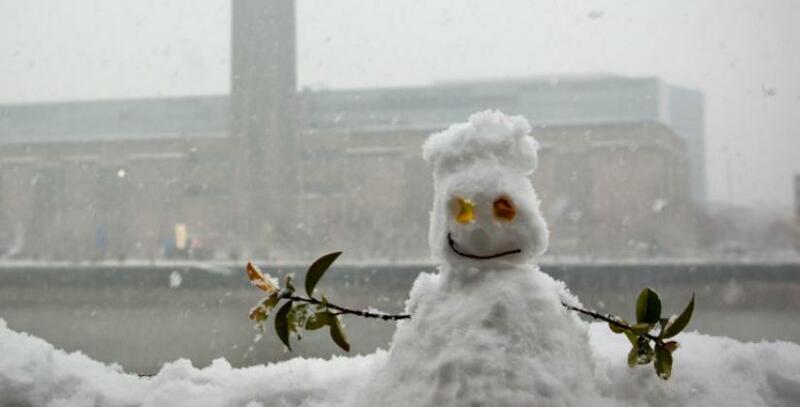 In 2012 more than 14% of the UK’s workforce were unable to make it into their place of employment due to bad weather. Staff productivity also tends to dip during December, as people take time off to celebrate festivals such as Christmas and New Year. So what can companies do to avoid the autumn and winter months taking their toll? If fewer people are able to make into work due to illness or bad weather, it can cause morale to suffer among those who are in the workplace. Make sure you take time to praise staff and thank them for their hard work. Organising festive treats or even just bringing in some nice food for your employees to enjoy can cheer up dreary days. Christmas bonuses and office parties are also good ways of making your employees feel happy about working for you. Winter essentials such as grit, shovels and de-icer can be in short supply during the colder months. At Bizspace business centres we will ensure our car parking facilities are kept accessible, but maybe consider buying your staff who drive a ‘winter survival kit’ of a windscreen scraper and de-icing spray, so they can avoid lengthy waits while their cars defrost. This should also help cut down on late arrivals in the mornings. If possible, set systems in place for flexible working to allow your staff to work from home if necessary. This can be invaluable on snowy days when they would struggle to get into work safely. It is also a good option for someone who is well enough to work but suffering from a cold. If people can carry out their work in the warmth and comfort of their own home, you may well find your staff productivity doesn’t suffer a winter dip. During periods of heavy snow, Bizspace offers free use of workspace at any of our 100 sites throughout England and Wales to anyone whose normal journey to work has been blighted. You can then enjoy modern office space and business facilities, without having to face treacherous journeys. We'll post details on our homepage when this offer applies.